Whether you’re a Manchester native or not, you’ll know the city has a fast-growing reputation as a key UK tech hub and a great place to build a digital business. Back in December, for example, it was listed in the top 20 of the European Digital City Index – right above Brussels and ahead of British rivals Edinburgh, Birmingham and Cardiff, to name but a few. For our money, a big part of this success story has been the availability of data centre infrastructure and connectivity. This has improved rapidly over the past decade or so, and it’s not a stretch to say that this city is now home to some of the best colocation space in the country – certainly on a par with London. That said, Manchester is a big place. To date, not all parts of the city have shared in this success story, and a lot has rested on a few key areas near to the centre like MediaCityUK, Manchester Technopark and Manchester Science Park. South Manchester, in comparison, has often been overlooked – although there are signs this is starting to change. Here are five reasons we think Manchester – and south Manchester in particular – demands serious attention from colocation buyers with their eyes on the north. Historically, London has always been the biggest colocation hotspot in the UK (and, indeed, one of the biggest in the world). However, Manchester is fast catching up, and a big advantage it has over the capital is price. As in the property market, you might reasonably expect your money to go a lot further on rack space in the north than in London. The indirect costs of using a Manchester data centre tend to be much lower, too. For example, since the city is much more compact than London, you’ll spend less time and money on transport – an issue that can stick in the craw of companies forced to use data centres on the outskirts of the capital to save on rack space costs. Our new mayor Andy Burnham recently told attendees at the Greater Manchester Digital Summit that he wanted Manchester to “to challenge neighbours in London, Bristol, Oxford and Cambridge to be the UK’s leading digital city”. And we do still have some way to go before we’re ready to throw down that gauntlet. That said, when it comes to data centres, we’d argue we’re already the UK’s second city after London. Firms have been moving their IT to Manchester for many years now, drawn by lower rents and strong transport links, and this has led both data centre and network providers to invest heavily in the region. As such, our level of connectivity is some of the best in the UK. So why should you use a south Manchester data centre, and not one of the data centres in the city centre? Well, while it may not have been in the spotlight as long as some other places, efforts to regenerate the area are now gathering pace – and it’s no longer all that difficult to imagine it as the next great digital hub of Manchester. Central to this is the £800m Airport City development, which has already attracted significant investment from global giants like Amazon and DHL for its unique combination of accessibility and connectivity. 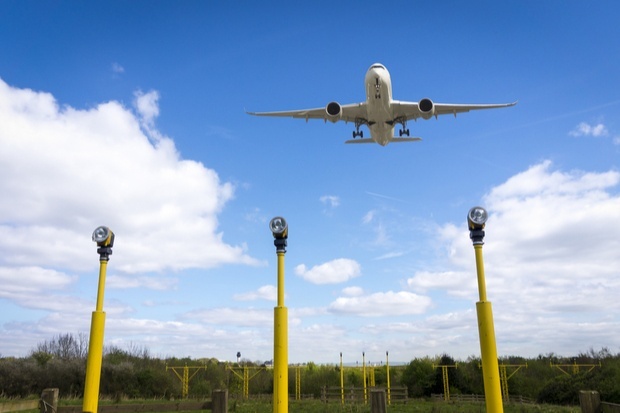 South Manchester is on the doorstep of Manchester Airport, which is the third-biggest airport in the UK and the biggest outside of London, connecting the city to over 200 locations globally. The airport will also be the site of a HS2 station, making it accessible from London by rail in less than an hour. More locally, meanwhile, the expansion of Manchester’s Metrolink network has connected south Manchester to the city centre, and the proximity of the M60 puts other parts of the north-west in easy reach. For firms that require a DR or failover facility (or indeed more than one Manchester data centre), south Manchester is an excellent option both for the reasons described above and the fact it’s some distance from the city centre and most of its other data centres. Many of the other sites are clustered in an area of just a few square miles, meaning localised power or network problems could cause widespread outages. Find out more about choosing a data centre for your digital business.